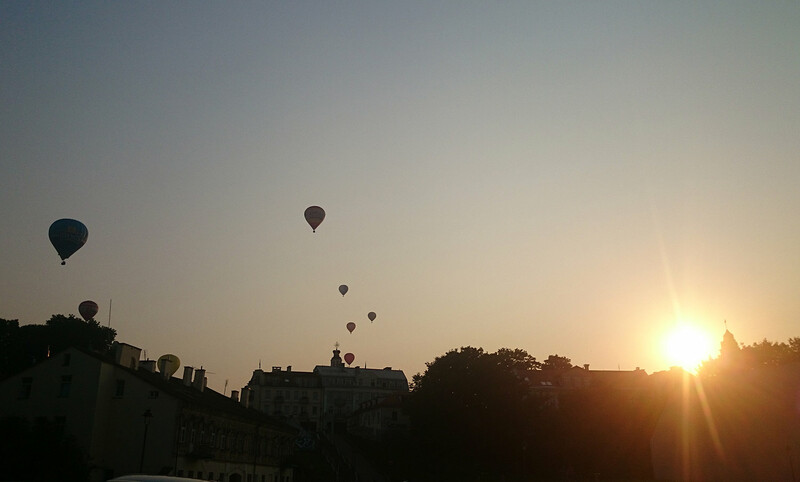 We invite you to embark on a fantastic journey – a flight over Vilnius old town with an air balloon. 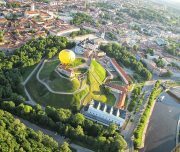 Did you know that Vilnius is the only European capital which permits such an adventure? It’s a surreal experience to see the city from a completely different angle, experiencing flight and dependence on the wind is like nothing you’ve ever experienced. 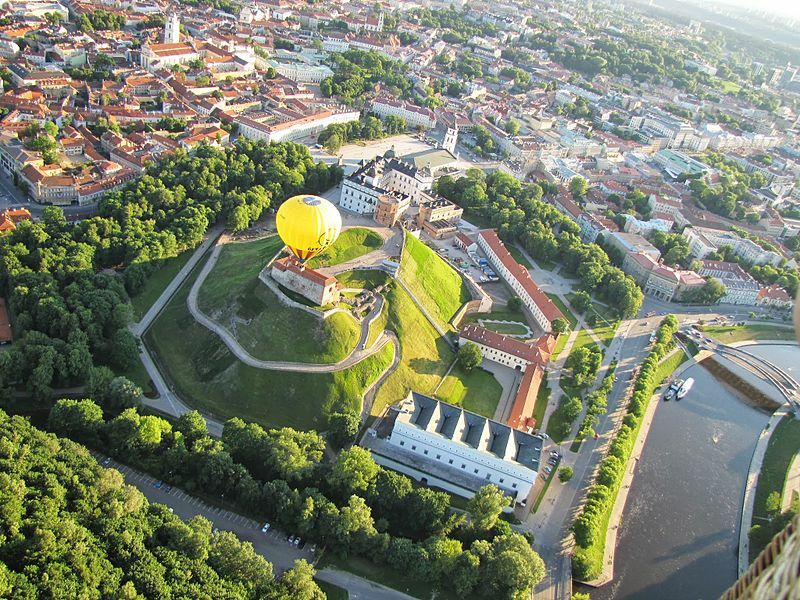 Sightseeing Vilnius from a balloon is one of the most spectacular things you should do in Lithuania. The entire trip is approximately 4 hours long, which includes our guide’s companionship before you take off, during balloon inflation, during the flight ( approx. 1 hour) and the trip back to the city. This way you’ll get an added experience of guided tour from above the city. The trip is super safe and simply spectacular. 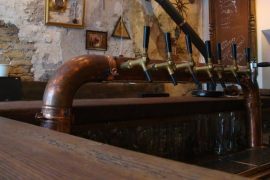 A must experience if you are in Vilnius. WEAR The most appropriate clothing for the flight is cotton clothing covering the whole body. High-heel shoes are not allowed on board! 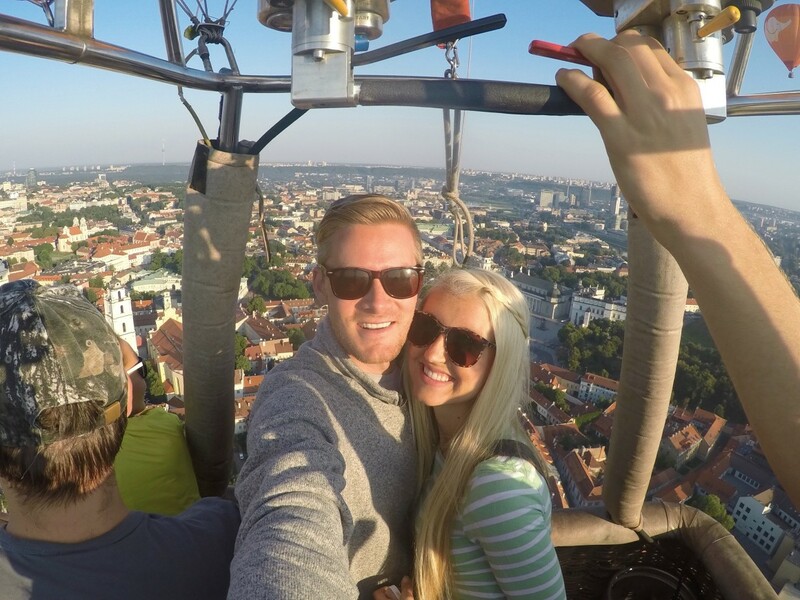 “Vilnius in Love” tour guides have partnered up with a reliable Air Balloon operator – this is how they describe the Balloon flight experience. leeward, i.e. where the wind blows and as fast as it blows. 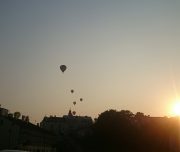 In summer hot air balloon flights usually start in the mornings (5am-9am), while termics (vertical air flows) are quiet and/or in the evenings (6pm-9pm), when termics become quiet. In autumn – spring mornings flights start a bit later (8am), and in the evenings – earlier (4pm). The average duration of the flight by hot air balloon is approximately one hour, even though technically it can fly 2-3 or even more hours. Hot air balloon moves approximately 10-20 kilometres per hour. It can rise up to more than 10 kilometres height. However, a human being after reaching height of 3 kilometres already feels lack of oxygen. 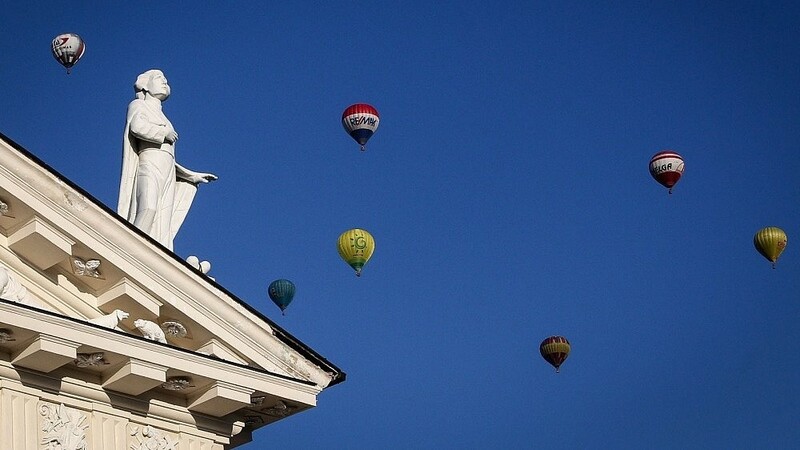 Therefore, air balloons usually do not fly very high. sport activities, require a certain minimum of physical training of the passengers. 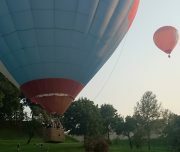 If you feel well and if you are physically fit, you may take part in the inflation and packaging of the hot air balloon. However, if you experience heart and/or blood circulation problems or you have recently undergone a surgery, it is recommended to consult a doctor and inform the pilot about these kind of problems before the flight. Enter the basket only when the Pilot allows you to do it. Do not touch and do not hold onto the envelope valve rope and onto other ropes as well as the fuel supply hoses. Do not throw any things out of the basket of the flying hot air balloon. Do not sit on the edges of the basket and on the top of gas balloons in the basket. Follow the direction of the flight with your eyes in order to feel the contact of the balloon with the ground. Hold with both of your hands onto the hand ropes provided for this purpose in the interior of the basket. Bend your legs, but make sure you do not bend them too strongly! Remember that the basket may tip over at the time of landing. Your good mood and strict observance of the necessary discipline will definitely contribute to making this flight an unforgettable and wonderful experience for you. We would like to remind you that here you shall not experience those uncomfortable sensations usually encountered in the plane flights. 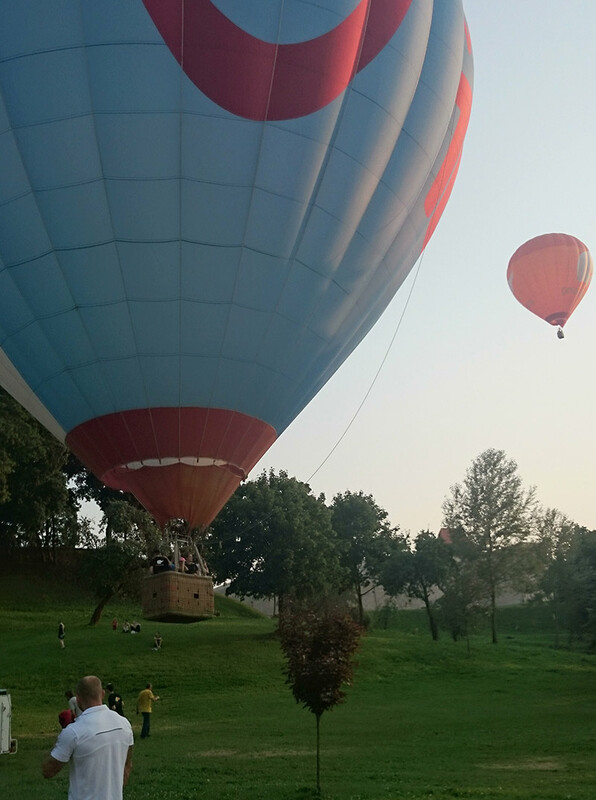 Both children and elderly people are able to enjoy at least one of such hot air balloon flights. 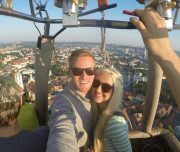 The Pilot will willingly respond to any of the questions you may have regarding a hot air balloon flight.